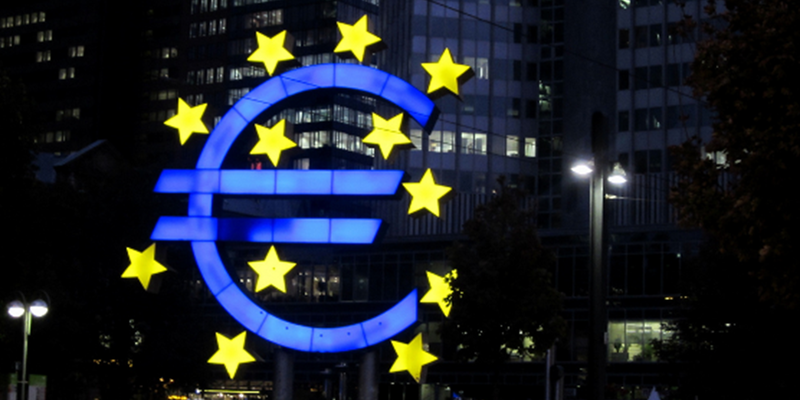 Could the eurozone crisis be good for Europe? Last year, we looked at whether the eurozone crisis was good for the environment (as the economy falls to pieces, so the argument goes, it might be an opportunity to switch to an alternative economic paradigm). However, could the crisis actually be good… for the economy? 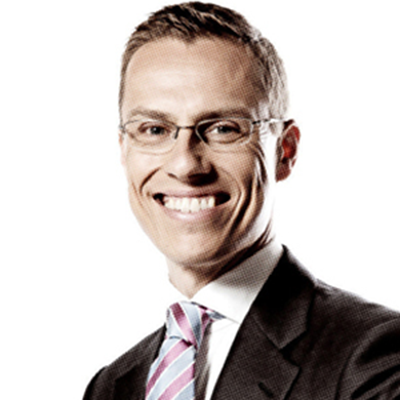 We spoke to Finland’s Minister for Europe and Foreign Trade, Alexander Stubb, and asked him about the importance of market pressure on economic reform. Firstly, one of our commenters, Samo, raised concerns about the recent souring of UK-EU relations. He believes we should “definitely keep the UK inside the EU, but not for any price.” Would Minister Stubb agree? I fully agree. I think the UK needs to be an integral part of the European Union. The fact that the UK used its veto at the recent summit is only an extension of the policy the UK has been following since the Maastricht treaty. For a country like Finland, it’s important to have the UK remain a member. What about the argument from another of our commenters, Patrick, who suggests the UK are – by remaining inside the EU but blocking further integration – obstructing the efforts of those members that do want closer integration? Patrick argues that “those nations that do want such a ‘complete’ union, should unite and set the constitution and rules of membership… Those that do not want to join that complete union should leave altogether. It is as simple as all that.” Does Patrick have a point? Is it as simple as all that? Unfortunately, I disagree with him on all counts. The EU is not a black and white organisation; it has shades of grey. I’m a sad case – and an institutional nerd – in that I wrote my PhD on European integration. Integration can take place at different speeds. A core, be it on monetary union or defence cooperation, will have a centrifugal effect and pull the rest of the gang along with it. We cannot split Europe, we need to stay together. Moving away from the debate on the UK’s troubled relationship with the EU, we’ve also had a number of comments sent in on the subject of the Eurozone crisis. Paul has set out a solution that he argues would end the crisis and ensure it won’t be repeated. This would include launching a common eurobond mechanism, investing heavily in economic growth and setting up either an “integrated euro financial system or enforceable monitoring and controls on all [euro-member budgets]”. How would you respond to Paul’s suggestion? Eurobonds would not be a solution to the current crisis. It’s something we need to reflect upon in the future, but only once strict and enforceable rules are in place to ensure budgetary discipline. Eurobonds should not be an incentive for bad public financial policy. First you must have strong rules in place. In fact, we had a similar response when we spoke to Ivan Mikloš, the Finance Minister of Slovakia. Minister Mikloš also argued that we first need rules in place before a serious discussion on eurobonds can begin. Protesilaos, one of our commenters, replied then that “in trying to maintain [a] ‘politically’ realistic approach, European elites end up [unwillingly materializing] the desires of speculators. So far, every single decision they have made has been in line with what the markets asked for.” Isn’t there a risk that policy-makers will never be able to “capture the initiative” from markets if they don’t take bold measures now? I disagree. I believe we need market pressure; we need both political pressure and market pressure to achieve tough and necessary economic reforms. In that sense, I think the markets need to have a say; Greece is not making structural changes to its economy because of political pressure, but because it is under threat from the markets. But market-prescribed solutions can be painful medicine. One of our commenters, Christos, says he does “not see any real solutions coming from our leaders, especially long term solutions. They are putting more and more people on the unemployment lists in some states without creating any new positions to absorb the newly unemployed. They plan to cap the numbers of those who work in the public sector, but they are choosing the wrong time to do it. Where will all those people go now that there are no jobs around?” Is it right to focus on austerity, or do we risk falling into a negative spiral? You need both austerity and growth, but what we’re seeing is that if you live above your means for x amount of years, at the end you have to pay for it. 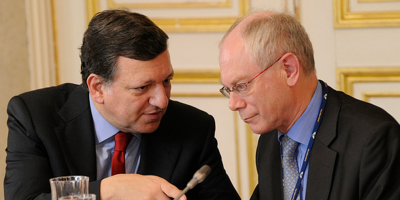 There’s more than one reason for the sovereign debt crisis we find ourselves in. There are many reasons, and the reason he’s mentioned is one of them. It’s clear we would all benefit from a weaker euro. 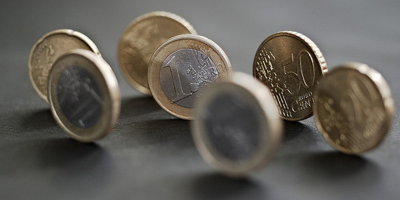 The rule of thumb is that, if the euro weakens by 1%, there is a 10% increase in GDP. That’s only a rule of thumb, but a weaker euro would definitely benefit the economy. What do YOU think? Should we institute eurobonds and growth-focused solutions immediately to avoid a negative economic spiral? Or do we need market pressure to push through necessary structural reforms? Let us know your thoughts in the form below, and we’ll take your comments to policy-makers and experts for their reactions. I think it is of very big importance to stop with our old paradigm, where economic growth is all that matters. We need to start evaluating our progress with different criteria, where environmental and social sustainability get their rightful place (and somehow bring environmental and social sustainability demands to the rest of the world, for example taxing all the products that were made by cheap modern slaves with no rights/by excessively polluting the environment). We also need to optimize our economic and political structures to get rid of all the unnecessary stuff that accumulated over the years. Only then can we again start our growth. No, there is too much freight on the part of politicians to bring on reform. Also I do believe that the economic progress should be measured by other standards, education, the fact that Europe is falling behind in research and development; new sources of clean energy, increasing importance of Fifth Cadre program to help small business (back bone of Europe) grow. Decreasing the number of regulations to allow businesses to thrive. Cap on the banking systems and hedgefunds…all part of reform that is currently placed on the back burners as politicians grapple with answers to curb the crisis. We need to create a mechanism to stabilize the economic environment. The most simple and secure way to increase stability in the economy is a completely stable currency. Note that London will become most probably the most important trading center for the Chinese currency. If we do not make Euro completely stable now, will do it the Chinese istead and will replace Euro and Dollars. China policy is to sign trade agreements for its currency with Turkey, Japan, UK, South Korea and others. They do not apreciate their currency but make it international instead and it?s stable. It?s a question of time until Euro and USD will die in this conditions. Making Euro completely stable will save the Euro from sure death. A stable currency will make the money of the population secure and will reduce significantly the panic in economy. The panic of devaluation. You work a life and you can lose all you have in few month. This is not economy. Is gambling. I believe that things are simpler than they look. Europe is the only multi – country financial and partially political union in the world. The countries which are members of this union are getting more and more depended on each other following the well known agreements in the last few decades. What does that means to the international markets? That if any Country of these has a problem then this problem will affect sooner or later the other countries too. This gives opportunities for big profits and all kinds of pressures financial or even political. The solution is simple in theory but complicated in practice and the financial markets know this very well. I am not a financial analyst but to my opinion, Eurobond is the only solution to start with. If Europe has common problems then Europe has to have common solutions, Eurobond is one of them and many others should follow. Where all that leads? To One (Common) European Department of Finance. This is the only assurance to financial stability in Europe . There are experts throughout Europe that can meet and put theory into practice. It takes patience and time and more political support. We’d surely see such effects as mentioned already, no? One of many possible solutions for the actual world economical crisis, can be a COMPLETELY STABLE CURRENCY. Why not ? If I work something my work have a value. If I want to store this value for 50 years for example, in the actual economical… system, I JUST CAN’T. It’s a human right to be able to STORE the VALUE of my work, for a long period of time, if I do not want to spend it right now. Well some countries have bad economies or high debt too, but they are not under attack from the Markets….yet…..Why is that? Do the Markets chose who to attack..?? Are they being told by “someone” or some group of countries/people organizations who to downgrade? Most European/western countries have been “living beyond their means” but not all pay the price..How did this “choice” of who will suffer and will not was made? And why it is the people who must suffer, since they were not the ones who knew the real state of their country’s economy..?? They were lied upon that all was ok..Now they are told to suffer and they have the blame on their shoulders..Something is morally wrong here, don’t you think? How is driving a country to its knees within a year can help its economy..?? isn’t it better to start the reforms gradually while you are creating the right conditions for the changes that are about to come? impoverishing a nation while taking away all the country’s natural resources is not the way forward i am afraid…. if Greece is being forced to change by this crisis, will it become like Britain during the next decade?? will they allow Athens to become the London of the Balkans, or all this is just nonsense and waffle to explain the dangerous geopolitical games that are being played in the region? it all remains to be seen…but if after the crisis the spring does not come, then what will Mr Stubb say..?? As I was writing my draduation thesis on the ECB (1998) I found plenty of papers and articles describing the usefulness of a “denationalised” (supernationalised) money. Without a monetary lever, each State would have properly managed its finances lest “market discipline” (speculation driving away funds) would force it to bankrupt. The debt-crisis should be useful for the EU: markets discipline punishing ill-managed finances. Now discipline mechanism has been triggered, most politicians label it “speculation” and invoke “political” solutions other than discipline (discipline: austerity, spending review and so on). Is that market mechanism, or austerity, painful? Sure it is! Necessarily! I’ve never seen a painless punishment! Any way to procrastinate the punishment is just “consuming future”, so problems will replay even greater (look deep into Cwik and Wieland’s insights http://papers.ssrn.com/sol3/papers.cfm?abstract_id=1705013 ). @ mr Stubb: a weaker Euro means also higher euro prices to import raw materials (priced in dollar) and other import goods and services (somewhat pegged to dollar and yuan or yen…); it is economically wrong to promote a weaker euro, it just helps the export-side of the economy not the whole European people (this is lobbysm, actually). very interesting article. Makes a lot of sense.